This verse by verse study of John chapters 7-8 was taught by our Pastor, Barry Forder, at Calvary Chapel Poole on the 24th May 2009. This verse by verse study of John chapters 5-6 was taught by our Pastor, Barry Forder, at Calvary Chapel Poole on the 26th April 2009. 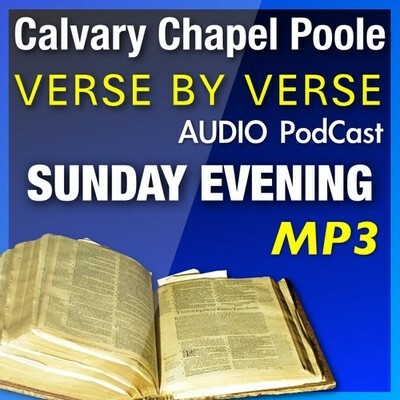 This verse by verse study of John chapters 3-4 was taught by our Pastor, Barry Forder, at Calvary Chapel Poole on the 29th March 2009. This verse by verse study of John chapters 1-2 was taught by our Pastor, Barry Forder, at Calvary Chapel Poole on the 22nd February 2009.